Annual festival offers tons of indoor and outdoor activities. 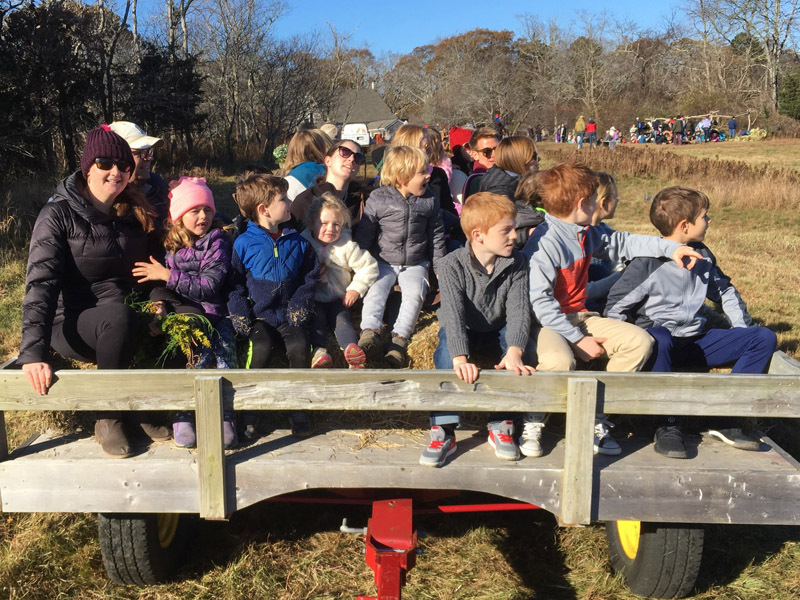 Kids enjoy a hay ride driven by Alan Gowell of Edgartown. Courtesy Susan Bellincampi. Suzan Bellincampi's will be signing her new book at the festival. What comes next on Thanksgiving weekend after turkey, pumpkin pie, and football? It’s the Felix Neck Fall Festival, of course! 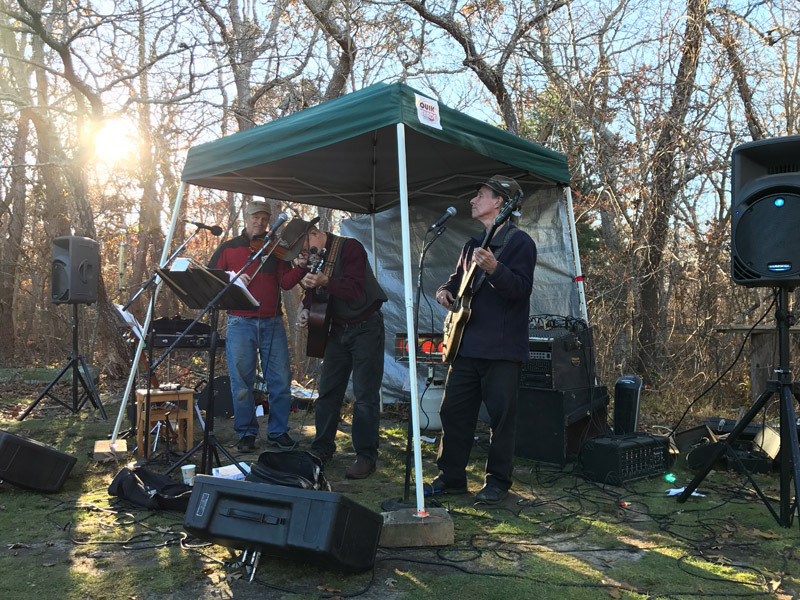 For many families, nature lovers, bird enthusiasts, and those wanting some fresh air and exercise after a day of leisurely feasting, the event now marking its 38th year tops the post-Thanksgiving calendar. The joyful celebration of fall and community is a popular tradition, drawing hundreds of Islanders and visitors each year. While this year’s festival offers favorite activities enjoyed by all ages, some exciting changes will add a meaningful focus on environmental awareness. With its theme “Refuse, Reduce, Reuse: It’s Easy Being Green!” the 2018 festival places strong emphasis on preserving the environment in various ways. According to sanctuary director Suzan Bellincampi, these efforts represent a first step in making the yearly festival a “zero waste” event. Volunteers from Island Grown Initiative (IGI) will help separate refuse into recyclables and disposable trash. Food waste will go to a composting program. To phase out paper goods, organizers are encouraging visitors to BYO dishware, water bottles, napkins, and cutlery. Bring a mug to the food table to be rewarded with hot chowder or chili. The “free lunch” offer is good for those buying mugs from the gift shop too. Along with mugs and water bottles bearing the Felix Neck osprey logo, the shop will sell bamboo cutlery sets. The environmentally friendly utensils, including chopsticks, come in a carrying pouch for picnics, lunchboxes, or potlucks. The word “refuse” in the theme is an admonition to not accept plastic food containers when shopping in restaurants and markets. If not reused, they must be recycled. But even that is not a perfect solution, warned Bellincampi. “There is no away!” is Bellincampi’s mantra. She explained that even when plastic items are thrown away, they remain in the waste stream. “We’re hoping people will see how easy it is to make an enormous difference,” Bellincampi said. At the food area, volunteers will grill hot dogs, serve popcorn, and ladle chowder and veggie chili. Local offerings include sausage and Scottish Bakehouse quinoa burgers. Popcorn is organic, thanks to a generous donation from a mother wanting to make that healthier option available for children. For dessert, visit the sale of treats donated by local bakeries and cafes. Education coordinator Josey Kirkland and Liz Dengenis, education assistant, have packed the activity schedule with fun for every age. Youngsters can string cranberries and popcorn or make log bird feeders. Artist Pam Benjamin and other talented face painters will turn kids into wild woodland creatures, and Alan Gowell as always will drive the popular hay wagon. Nature crafts take place in the cozy post-and-beam barn built last year by Kevin Cusack’s Autumn Construction. 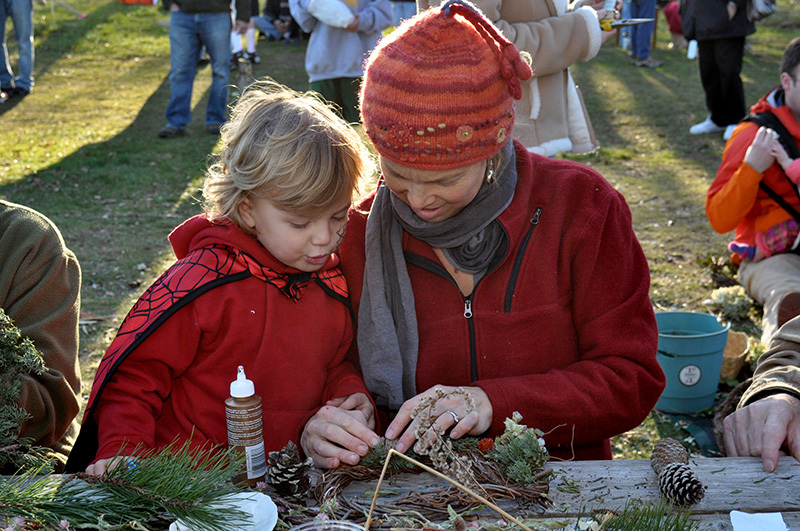 Volunteers will guide participants in creating nature wands and greeting cards, decorative stones, and holiday ornaments. All are invited to craft handmade wreaths using greens, dried flowers, and other natural decorations, all supplied by Susan Silva, other volunteers, and high school youth volunteers who laboriously created bittersweet wreath forms and gathered materials. A $5 donation per wreath is requested, and there is a one-wreath limit for each person to ensure enough materials for all. 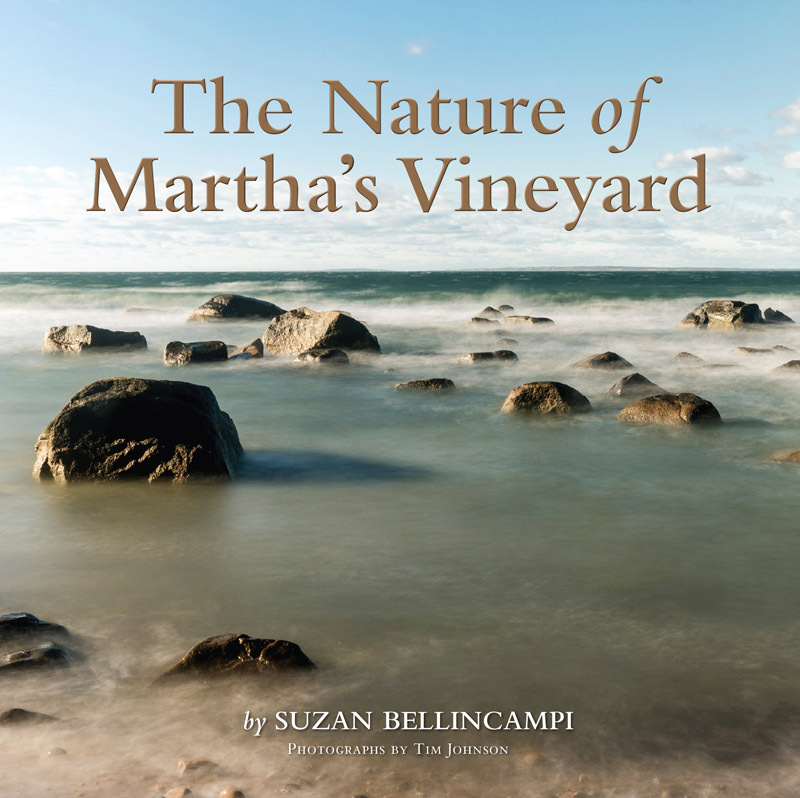 As a special highlight, Bellincampi will sign copies of her new book, “The Nature of Martha’s Vineyard.” The volume collects the best of her Vineyard Gazette “All Outdoors” columns, combined with photos by Tim Johnson. And don’t forget the newly published 2019 Felix Neck calendar, featuring exquisite wildlife images by local photographers, which raises funds for the sanctuary. Grownups that just want a break can visit with friends and neighbors, or just relax and enjoy traditional music by the Flying Elbows. Those with a burst of after-Thanksgiving energy will join in a 9 am guided bird walk. Adventurous competitors mimic their favorite feathered friends for prizes at the 12 pm Bird Call Contest. 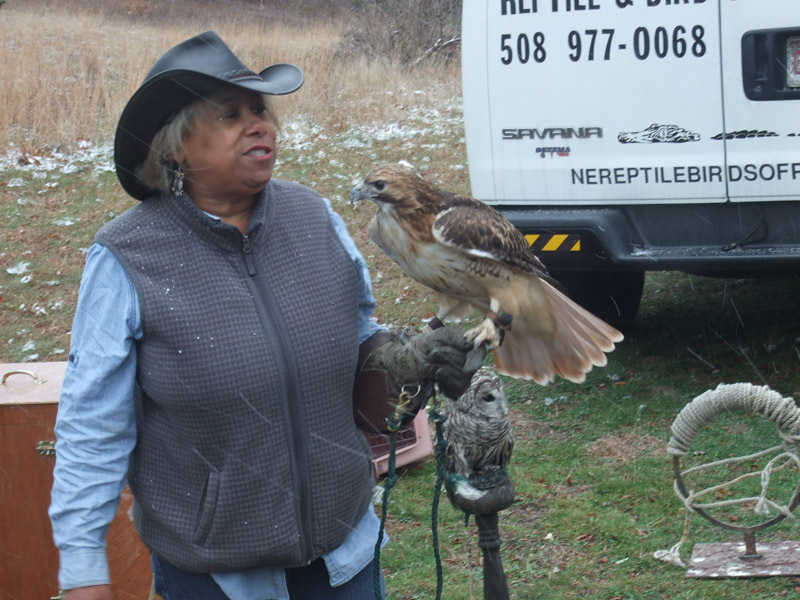 Marla Isaac of New England Reptile and Raptor in Taunton will return, offering close-up views and little-known facts about her fascinating birds of prey, including osprey, hawks, and owls. 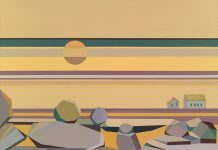 New features include an Art Sale in the barn with nature-themed pieces by Lanny McDowell, Vasha Brunelle, Marston Clough, and others. Browse the tempting sale table heaped with gently used nature books, or buy raffle tickets to win a striking life-size ceramic horseshoe crab by Cape artist Marc Grey. Festivalgoers can start holiday shopping early at the gift shop with its colorful array of items to please every nature lover. 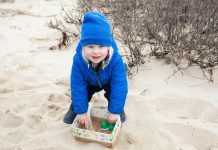 There’s plenty for children, from organic cotton onesies, chirping plush birds, and fluffy animal puppets to educational nature games and puzzles. Field guides, hats, kites, cards, holiday specialties, and gifts for a greener lifestyle fill the shelves, and there is a bargain sale table too. 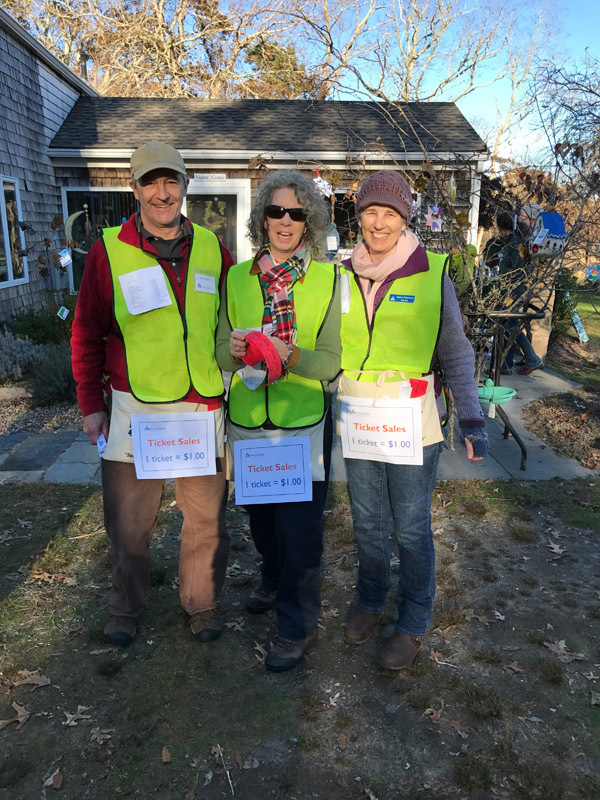 According to Bellincampi, Felix Neck relies on more than 50 dedicated volunteers to make the festival happen, along with countless local businesses that donate food and supplies. Bellincampi said the festival is first and foremost a community gathering that brings visitors to enjoy the sanctuary. 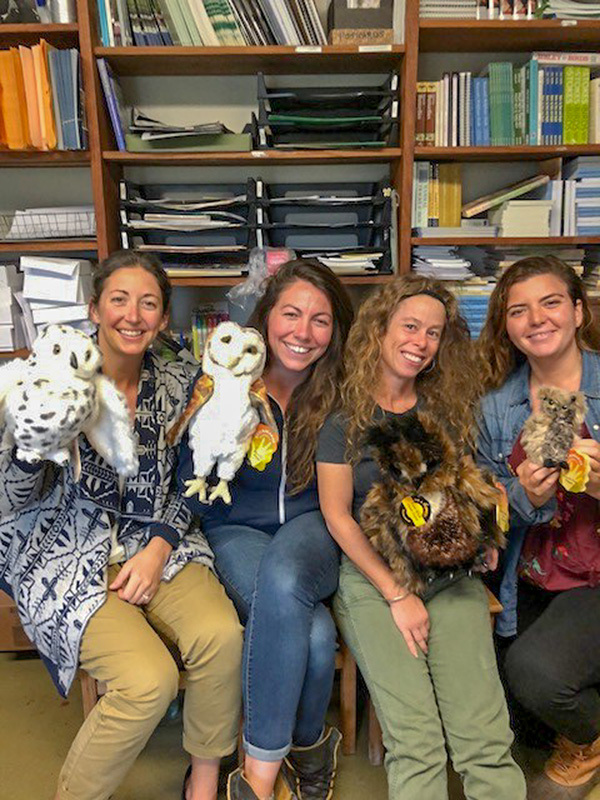 It is also a fundraiser, with a goal of $10,000 to help support wildlife protection and monitoring, and Felix Neck’s education program and preschool initiative. She said prices are kept affordable to encourage attendance while still raising needed funds.